In order to process your receipt, our system needs to be able to scan and read the entire receipt. If you received an email saying the text on your receipt was hard to read, it means our system was unable to get the information it needed from the photos. The photo was taken from too far away. Solution: Sometimes, members try to fit the entire receipt in one photo. 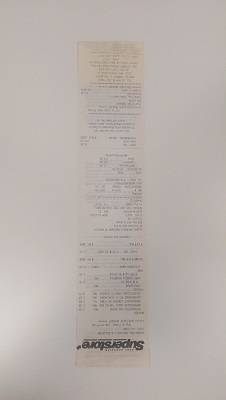 Many receipts are too long for this, meaning you need to take the photo from quite far away - resulting in the text being super small. The good news is: if your receipt is too long to fit into one photo, you can take multiple photos! 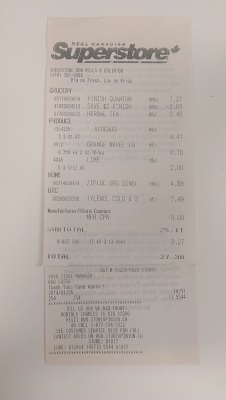 The receipt text is blurry. Solution: To get a clear photo, it helps to have the receipt on a flat surface. Try putting it on a fridge with magnets, or laying it on a table with paper weights at the top and bottom of the receipt. Extra tips: Make sure you’re taking the photo in a well-lit room, and always keep your receipts crisp and unwrinkled! Multiple receipts were uploaded at once. Solution: If you have more than one receipt with offers to claim, upload them one receipt at a time. Solution: When you're uploading a long receipt, don't fold it. 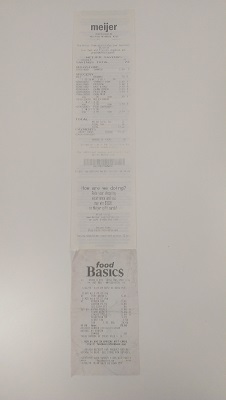 Instead, take multiple photos to capture the entire receipt from top to bottom. 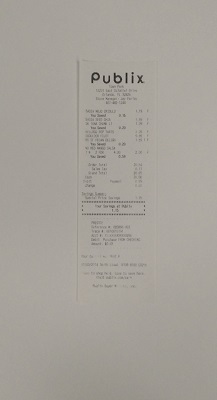 The receipt was photographed horizontally. 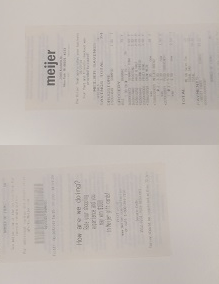 Solution: Make sure when you're photographing your receipt, the receipt is placed vertically so its edges line up with the lines on the screen. The receipt was photographed upside down. Solution: Make sure when you're photographing your receipt, the receipt is placed right side up. 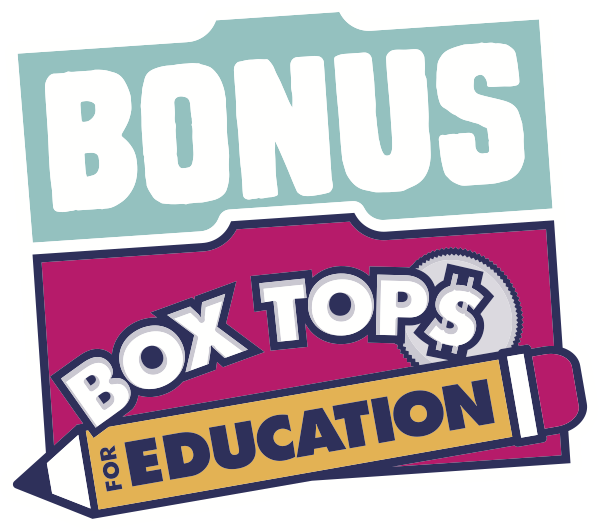 Start at the top where the store logo is and keep going until you reach the bottom! What is a Receipt ID?